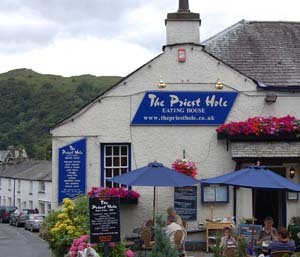 This is an update on my earlier post The Priest Hole restaurant, Ambleside – The most expensive meal I’ve ever bought for a 1 year old. Basically in my earlier post I state that we went to the restaurant and was verbally told that although they didn’t have a children’s menu they would be able to provide a pasta dish as a children’s portion. We then ordered a meatball and pasta dish asking for it to be childs size, but were then charged the full adults price. Apparently it was the wrong kind of pasta dish. I therefore wrote a letter to trading standards asking them to investigate and to make sure that the actual cost of the food is made available in advance as required by UK law. Since sending my letter to trading standards I have had a short reply saying that someone will be visiting the restaurant to see the situation and advise them accordingly. Hopefully this will result in them creating a proper children’s menu benefiting future visitors with children. If anyone does visit The Priest Hole and sees that they have a children’s menu, or if they still don’t then I’d be interested to hear about it. Please leave a comment to this post. This entry was posted on Sunday, August 26th, 2007 and is filed under Babies, Children, Holiday, Tourism. You can follow any responses to this entry through the RSS 2.0 feed. Both comments and pings are currently closed.